Before the traditional Dorothy story ever takes place, two young girls meet in the land of Oz. One – born with emerald green skin – is intelligent, fiery, misunderstood, and alone. The other – beautiful, wealthy, ambitious, popular, and entitled – is uncomfortable around the unfamiliar and therefore dislikes it. Maybe loathing is a better term for it. 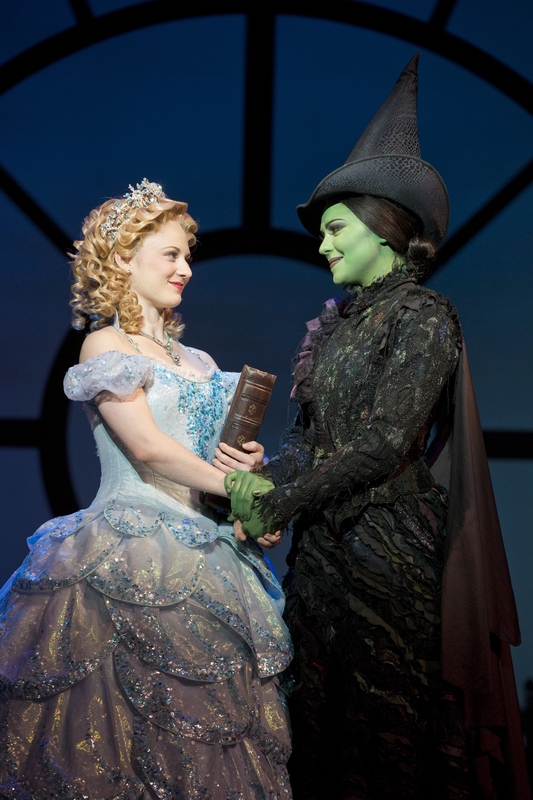 Wicked tells the story of how these two unlikely friends share an amazing journey and grow to become the Wicked Witch of the West and her counterpart, Glinda the Good. The show provides a unique take on events leading up to the classic Wizard of Oz story and has a fantastic message about how it is okay to be different and special, reminding us that good things can often come from bad situations. Directed by two-time Tony Award winner Joe Mantello, and staged by another Tony winner, Wayne Cilento, this production is currently at the Hobby Center and will be sticking around until August 11. 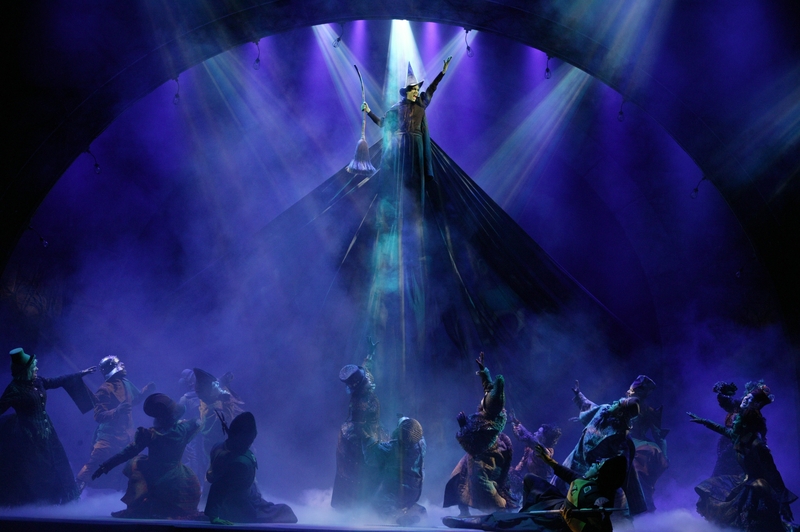 Based on the best-selling 1995 novel by Gregory Maguire, Wicked has won 35 major awards, including a Grammy Award and 3 Tony Awards. Globally, Wicked has amassed nearly $2.9 billion in ticket sales and has been seen by 36 million people worldwide in its 9-year history. Wicked can attribute its popularity to its ability to find and cast some amazingly talented individuals, its Tony Award winning costumes, and its magnificent and captivating score by Stephen Shwartz – whose major works also include hit musicals such as Godspell and several Disney movies, including Pocahontas and Enchanted. Following in the footsteps of Idina Menzel, Kristen Chenowith, Norbert Leo Butz, and Joel Grey is quite a daunting task, especially since many of the fans who were around when the show first popped onto the scene might think that the original version of the show should remain unchanged. For better or for worse, this is simply not possible, as theatre is a living thing and forever in a state of flux. The stars taking on those roles in this production – Jennifer DiNoia, Hayley Podschun, David Nathan Perlow, and Walker Jones – hold their own and bring their own personalities to the characters, changing a note here and there, or delivering a line in a different tone of voice. Beyond that, some larger changes may not be left up to the actors. Apparently, the original version of the show was believed to be too subtle for its audiences, and so lines and interactions in various scenes were added to clarify. Although these additions perhaps make the show more accessible to people who may not have been able to pick up on the meaning, it also loses something in the mystery and the social commentary that is so much a part of this show. Even with these changes, fans will love coming back to the show and enjoying the ride. The story will take you with it – up and down on an emotional roller coaster that will be both torturous and cathartic. You’ll laugh. You’ll cry. You’ll feel breathless. You’ll sing the songs inside your head. 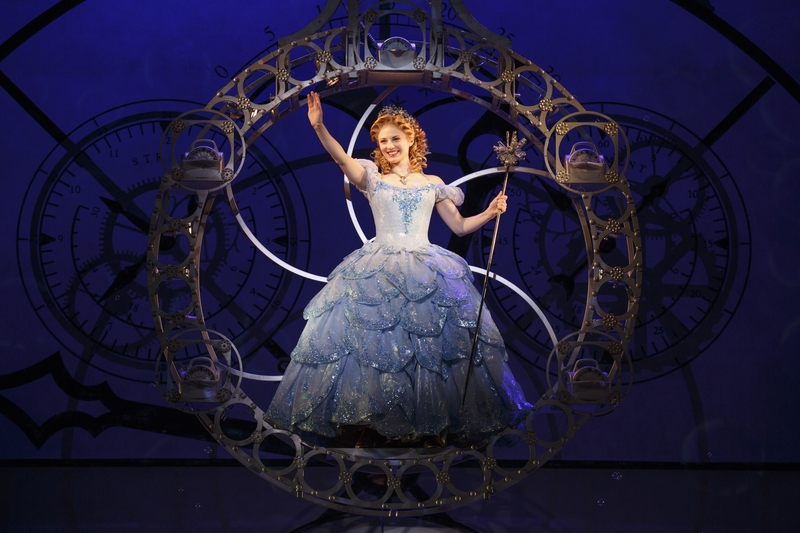 It is no wonder Wicked has captured the hearts of millions of people around the globe. It is surely an experience that you will never forget.